Yes, I know it’s still April, but that means May is just around the corner and then June and by that point summer is usually underway already! Though Sanctuary, Season 3, just got underway last week and Stargate Universe is heading towards the series finale, fans of the network know they’re not the only shows airing these days. Everybody at my house has been clamoring for more Eureka and Warehouse 13 wondering when they’ll get started again. Well, now I know! Alphas starts Monday July 11 and introduces us to a team of ordinary people with extraordinary abilities who go a bit vigilante. The team, led by Dr. Leigh Rosen (David Strathairn) investigates the cases other agencies can’t. It looks a bit like Wanted meets X-Men. Also new is Legend Quest starting Wednesday July 13 – a reality series where archaeologist Ashley Cowie travels the world trying to find great artifacts from the past. Do you think he can find Excalibur or the Ark of the Covenant? This six episode series seems a bit like a real life Indiana Jones, so I can’t wait to see how it turns out. Also airing will be several new Saturday Original Movies from Syfy. Some of the ones in the past have been real stinkers, but maybe video-game inspired Red Faction: Origins will be more Babylon-5 than bad video game adaptation Doom? Also coming are ice creatures, dragons, killer sharks, and volcanoes. Have you ever noticed that Saturday nights on Syfy usually means something bad is going to happen to the Earth? We’ll be tuning in to see our favorite shows and to see if there may be some new favorites in the mix as well! Author fitzPosted on April 18, 2011 Categories TelevisionTags 2011, Alphas, David Strathairn, Eureka, Indiana Jones, Legend Quest, Red Faction, Red Faction Origins, Sanctuary, Stargate Universe, summer 2011, Syfy, Television, Warehouse 13Leave a comment on Syfy Summer 2011! The Mayan calendar poses an interesting challenge to thinkers in the modern age. On one hand, it is one of the most complex and accurate astronomically-based calendars that we have found in mankind’s historical record. And on the other, it predicts, according to some anthropologists and archaeologists, the end of time on December 21, 2012. As always, humankind has very different responses to this date. Some claim it signals an apocalypse or armageddon. Others say that it will bring a sea change to human consciousness. Still others say it will be just another day on Earth. I have to admit that I fall into the last category, though I’ll be interested to see what happens in three years. It was obvious that authors Chris Morton and Ceri Morton Thomas put a ton of hard work and research into their book 2012: The Secret of the Crystal Skull. And it provides yet another point of view on the subject. Their protagonist, Dr. Laura Shepherd, is an archaeologist with a specialty in Mayan hieroglyphics. When a colleague dies mysteriously in the possession of a strange crystal skull, Shepherd is put in charge of determining where it came from and what its significance may be. Never has writing a report for a superior provided more of a winding path. Laura’s path takes her to a hidden Mayan temple and into one of the most technologically advanced labs in the United States, not to mention her journey to what may be a parallel universe… But I won’t spoil that spiritual quest for you. Evidently this novel began as a screenplay that may have inspired Roland Emmerich to create his latest big budget disaster film – 2012. 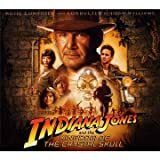 And the authors’ previous best-seller (The Mystery of the Crystal Skulls) may have inspired the last Indiana Jones movie – Indiana Jones and the Kingdom of the Cystal Skull. So they seem to have a knack for getting Hollywood’s attention. It reads like a screenplay a good portion of the time with a ton of visual detail. And though I enjoyed the second half of the book and found the last 200 pages to go extremely quickly, the first half was tough sledding and took a long time to get rolling. At one point, Dr. Shepherd spends a few chapters reading a journal written in the 1930s by the daughter of the archaeologist who actually discovered the crystal skull on an expedition. I felt that section could have been written to summarize the journal entries rather than including several long, detailed entries in the text of the book. I was reminded of Mary Shelley‘s classic Frankenstein, which is written as a series of journal entries that I have never finished after multiple attempts. So this may be more my failing than that of the authors. In another part of the book, Dr. Shepherd remembers how her daughter died in a choking accident involving a piece of candy. As a parent, the scene was almost too detailed and graphic to read without thinking about how I would react if faced with the same situation. It was one of the stronger scenes, yet somehow fit awkwardly into the grander scheme of things. Again, I feel it might have been edited a bit to smooth out this rough patch. However, from the point where Laura enters the jungle in search of the Mayan temple where the crystal skull had been found 80 years ago, I felt more connected to the story. It was at that point that the author’s knowledge of Mayan history and architecture really shined through and the adventure kicked into high gear. From there to the end, it’s a great thrill ride reminiscent of something you’d see in an Indiana Jones adventure. Ultimately I enjoyed 2012: The Secret of the Crystal Skull by Morton and Thomas, but I wish it got going a bit faster than it did. 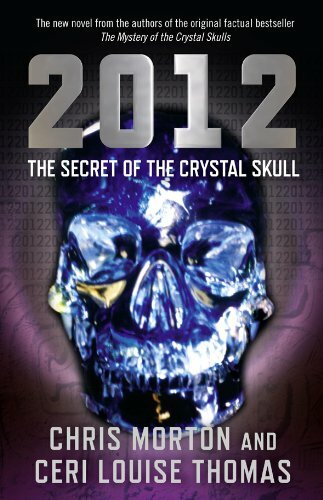 If you’re fascinated by the Mayan calendar, the impending date of December 21, 2012, and the mystery of the crystal skulls, be sure to check it out at your local bookstore. p.s. 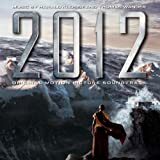 Pick up this book and other 2012-themed media at Amazon!